Jide Remix Tab Specifications: It was an unusual year for mobile tech at CES 2015, with two of the most intriguing mobile devices coming from companies we’d never heard of before. The smartphone we drooled over most was the Saygus V2 from a small American company, and as for tablets, it was the Chinese startup founded by a trio of ex-Googlers called Jide and its upcoming “Remix Ultra Tablet” that was the most intriguing large screen device. Remix comes from a Beijing-based startup called Jide that’s only been working on the project for less than a year. Jide was started by three former Googlers who were among some of the earliest Mountain View employees, helping to build key products like AdWords, Adwords Mobile, Gmail, Google Talk and Maps. The device is already available in China, and now Jide is getting ready to sell it around the world. The company launched a Kickstarter campaign that lets users order the slate from the US, Canada, Australia, UK, and most European countries. Right now, you can buy a Remix tablet for $349, and expect to get it in May.To have a closer look on the tablet, let us jump to Jide RemixÂ Tab Specifications. 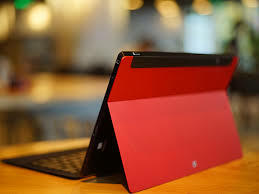 Jide Remix Tab is attractive looking tablet with sharp edges. It is available in two variant black and white. Device features 11.6-inch full HD Â display with an amazing 1080 x 1920 pixel resolution. A highly effective anti-fingerprint coating both reduces smudging and makes screen cleaning easy, making for a clearer, more enjoyable viewing experience. No more smudgy-smeary haze covering your screen.Newest-generation Corning Gorilla Glass 4 makes your tablet stronger than ever, with improved resistance against scratches and falls. The aluminum rear cover brings a touch of elegance and added toughness to this sleek tablet.So, here it takes our attention by its intensive look. Jide Remix TabÂ features a 1.5 GHz Cortex-A7 Quad-Core processor on a 64-bitÂ Mediatek quad-core processor coupled with 2 GB RAM to provide smooth and fast processing.It also houses 64 GB of internal storage which can be expanded up to 128 GB.With such strong processor ,graphic processor and RAM you can play your favorite game with ease and without lagging. Jide Remix Tab runs on outdatedÂ Android 4.4 KitKat operating system. There is no news regarding upgradation to the latest android 5.0 that is lollipop so this is not a good news for the android lovers. Jide Remix Tab comes with 5-megapixel rear camera with auto-focus and with no LED flash and the front camera is also of 5-megapixel. Jide Remix TabÂ is powered by 8100 mAh battery whichÂ delivers 14Â hours of talk time and 14.5 days of standby time.Â For connectivity option Jide Remix TabÂ has Bluetooth v4.0, Wi-Fi, micro-USB, GPS, 4G. Jide Remix Tab is a price tag Â in Taiwan for $349 in US and its availability across the globe is yet to announced. The Jide Remix TabÂ has what’s necessary to have a awesome displayÂ experience and it’s better than most tablets in its price range. For more information about other gadget stay tuned to the website and subscribe the website through email.